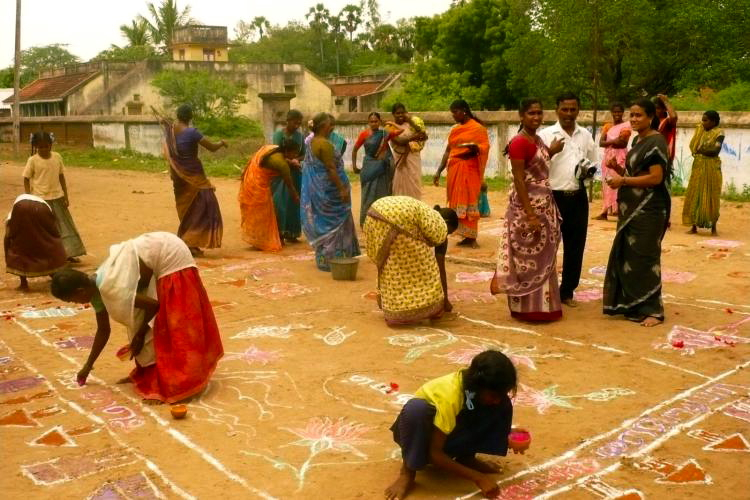 How can we thoroughly involve local communities in ‘development’? Participation is the answer according to the “undisciplined” academic and ever energetic practitioner Robert Chambers, based at the Institute of Development Studies in Sussex. Following widespread criticism of conventional top-down technocratic interventions, the concept of participation has emerged since the 1990s as an essential element of a people-centred ‘development’ paradigm which aims to put the poorest first. This is the first in what will hopefully become a series of “digests” of some academic ‘development’ thinkers, exploring their main ideas and provoking a discussion about how they may and may not be useful. What does Chambers write about? In his classic book Whose reality counts? Chambers argues for a totally new way of thinking about and doing ‘development’, calling for a complete shift towards approaches that are more community-driven and process-orientated. He says we shouldn’t settle for neatly designed projects executed by government agencies or big NGOs. Chambers re-conceptualises ‘development’ as messy, dynamic and non-linear processes that can be sensitively facilitated and supported by privileged outsiders (who he terms “uppers”) but ultimately must be controlled and led by communities (who he terms “lowers”) themselves. So ‘development’ should be done by or with the people concerned, rather than for or to them. Chambers recognises that in order for ‘development’ to be truly participatory a “new professionalism” is required that entails changed approaches and methods. He writes about the need for ‘development’ professionals to let go and “hand over the stick” by proactively listening to and learning from the very people who they’re trying to “help”. 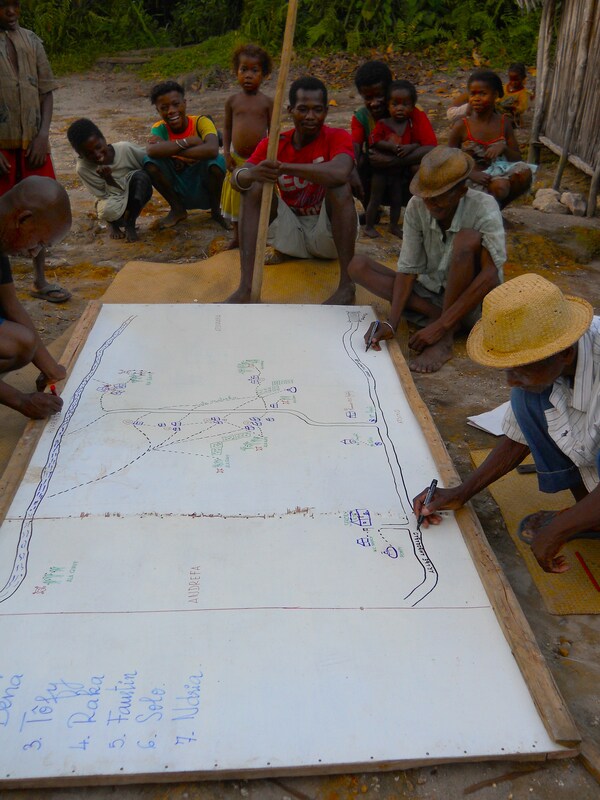 Chambers has designed a variety of tools that can be used to do this, including Participatory Rural Appraisal (PRA) exercises like transect walks and social mapping. These very practical methods have been used and adapted by organisations and groups throughout the world in a variety of contexts, from addressing food security issues to improving sanitation through the elimination of open defecation. Aside from these tools though, the behaviours and attitudes of facilitators are fundamental to participatory ‘development’. Chambers draws on Freirian concepts to understand the empowerment of poor people as being realised through their own analysis and action. He recommends that practitioners be creative and flexible in their approaches by experimenting and innovating as they go along, with the dictum: “use your own best judgement at all times”. In this way participatory ‘development’ demands a certain level of both personal and institutional change. What do I find useful about his ideas? Broadly speaking it seems that Chambers is trying to switch the focus from a technocratic obsession with “things” and “outputs” to a more sensitive emphasis on “people” and “outcomes”. I find this to be a really constructive way of thinking about and doing ‘development’ since it recognises that the reality with which we’re working cannot be simplified so as to be amenable to remotely planned and neatly executed projects. Instead, our responses to the multifaceted phenomenon that is “poverty” should be designed and led by communities themselves if they are to be locally appropriate and effective. Overall I think what I find most useful and challenging about Chambers’ ideas are his concerns with the power relations inherent in all ‘development’ processes. He asks: Whose reality counts? Who constructs that reality? Who acts upon that reality? Who is in control of the ‘development’ process? These questions also have profound implications for the work I do – developing projects, writing funding proposals, assisting staff with monitoring and evaluation, identifying organisational lessons learnt, producing reports for donors and other stakeholders – because they make me I realise that I’m in a powerful position as I narrate the reality that we’re collectively attempting to change for the better. To be completely honest I find all this thinking about power rather frightening. With power comes responsibility: responsibly to “hand over the stick”, responsibility to tell those stories with integrity, responsibility to be self-reflexive in my practice. When developing projects with the staff team here I often ask myself: How participatory is this process? Whose voices are being heard or excluded? To what extent does this meeting constitute a delicate facipulation (facilitation/manipulation) exercise? In many ways I think that the NGO I work for has a long way to go when it comes to facilitating projects that are actually designed and led by the local communities they seek to benefit, although I do recognise that this can be difficult to achieve as a small agency with limited reserves (funds may not be available to do thorough participatory needs assessments prior to the development of new projects) acting within the constraints of institutional and donor demands (the need for neatly planned interventions which have predefined targets that can be inserted into rigid logframes makes downward accountability to local communities within the project development process rather difficult). What do I not find useful about his ideas? I struggle with Chambers’ conceptualisation of “uppers” and “lowers” when he talks about “putting the first last”. This duality seems rather problematic to me: if I’m classified amongst the “uppers” and those community members that the NGO is engaged with are considered “lowers” then what about our local staff? Are they “middlers”!? While these binary terms can be useful when thinking about (reversing) power relations between different people I’m afraid they’re a bit oversimplistic, failing to acknowledge the complexity of the power dynamics in the world of international cooperation. Indeed, these labels also conceal important power dynamics within the various groupings: it would be foolish to consider a “community” as a homogenous and harmonious unit within which everybody always shares common interests and needs. Because communities are socially stratified, participation may be mediated and shaped by repressive structures operating at the micro-scale, such as gendered or classed hierarchies. So unless participatory processes take into account the relative bargaining power of different community members, they are in danger of merely providing opportunities for the more powerful (in my experience often conservative male elders) to entrench their privilege. Also, due to the recent mainstreaming of participation, it’s quite unsurprising that it has become somewhat of a buzzword or “fuzzword”, with the tendency to shelter multiple meanings. The concept of participation is malleable and has been called upon to perform a wide range of functions, politically tamed and used to sanction neoliberal ‘development’ interventions: sadly its once radical implications for ‘development’ appear to have been tempered to a significant extent. 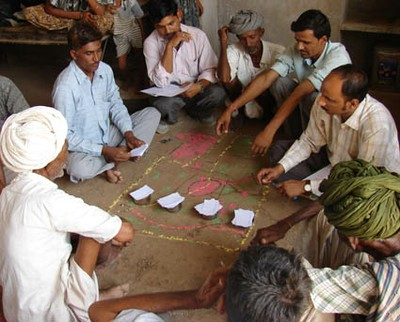 So now it seems that people involved in participatory ‘development’ may represent anything ranging from the objects of a theoretical process of economic and political transformation, to expected beneficiaries of programmes with preset parameters, to contributors of casual labour that help a project achieve its ends, to co-opted legimitisers of a policy, to people empowered to make their own choices. Within my work I certainly see participation referred to in a variety of these ways, from local contributions of freely available materials to our construction projects, all the way through to resourceful and enthusiastic community-led action facilitated by our rural sanitation initiative. Therefore sometimes I find the concept of participation unhelpful as it may be unclear what type of approach is being referred to. Finally I worry that participation is overly localist in its focus. Yes, endeavouring to thoroughly involve communities in ‘development’ is certainly an excellent idea. However, we must not fail to address the broader structures of power through which people are marginalised. While participation may represent a potentially transformative revolution in the way we think about and do ‘development’ at the local scale, what about its implications beyond this? This entry was posted in academic 'development' thinkers, personal reflections and musings and tagged development, participation, power, reflexivity by No Longer At Ease. Bookmark the permalink.